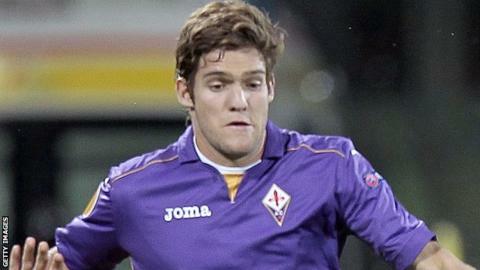 Sunderland have completed a deal to sign Fiorentina defender Marcos Alonso on loan for the rest of the season. Alonso has had a medical at the Stadium of Light and will join the Black Cats' squad officially when the transfer window opens in January. The 23-year-old Spaniard, who left Bolton for Fiorentina in May, is Gus Poyet's first signing as manager. "I was looking for a player in that position on the left side and I hope he will help us," Poyet said. "I am delighted that everything is agreed." Alonso began his career at Real Madrid, where he made just one appearance for the club's first team after a long stint with the club's 'B' team. The defender joined Bolton in July 2010 and went on to make 46 appearances in all competitions, scoring five goals. Sunderland are bottom of the Premier League table and Poyet will have limited funds to bring in new players next month.